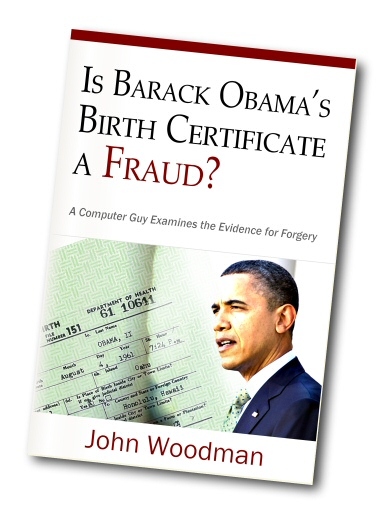 It developed into a real blog, with a ton of commentary and analysis on all of the significant “birther” claims, including the claims that Obama (along with others) is not a “natural born citizen” according to the Constitution. On March 17, 2012, I began to present my “final conclusions,” with a “bottom-line conclusions” post. This post presents a detailed summary of what I learned through research in 2011 and 2012. As of November 2012, this blog’s status is “archived.” There is a wealth of information here, and I hope people will explore and learn from it. To put it all into a single sentence: None of the claims either of forgery or that two citizen parents are required for natural-born citizenship stand up to scrutiny. Neither has anyone brought forth any persuasive evidence at all that Mr. Obama was born in any location other than that claimed by Mr. Obama and the State of Hawaii. Therefore, despite the numerous claims of “birthers,” there is simply no good reason for anybody to believe that Barack Obama is in any way ineligible to the Presidency. This says nothing about whether or not he is a good President. But I personally have not the slightest doubt that the man is legally eligible to the office. Given my firm conclusions that the birther movement has factually failed — on both of its major claims — I have made my final posts and am retiring from the issue. If some dramatic and persuasive new evidence should emerge that — against all current evidence — Mr. Obama is ineligible, I will try to at least acknowledge that. But given the very long and intense scrutiny that this issue has already received, and the complete and utter failure of birthers to come up with any real evidence at all of ineligibility — despite their many and almost infinitely persistent claims — if any such evidence should ever emerge, it will be absolutely contrary to all of my expectations. The “birther” movement has failed. Give it up. It’s over. The Investigation that Redefined the “Birther” Controversy! Even after Barack Obama’s release of an official long-form birth certificate online, a Gallup poll showed that fewer than half of Americans were fully convinced that Barack Obama was actually born in the United States. In a single month, more than 700 videos were posted on YouTube discussing whether or not the long-form birth certificate is a fake — with the vast majority claiming, based on examinations of the computer file, that it is. These videos alleging fraud have been viewed more than 3 million times — and counting. In Is Barack Obama’s Birth Certificate a Fraud? computer professional John Woodman closely examines the evidence to find out which — if any — of these claims “hold water.” From “layers” to “kerning” to the strange out-of-sequence birth certificate number and beyond, he honestly and independently investigates more than 30 different theories concerning the certificate. He contests ideas, explains why we see the things we see — and reveals new information about the certificate not previously revealed anywhere else. Complete with more than 70 illustrations, this book is a must-read for all who wish to truly understand the birth certificate and eligibility controversies.